World of Warcraft players normally need to hit level 20 in order to use a mount. 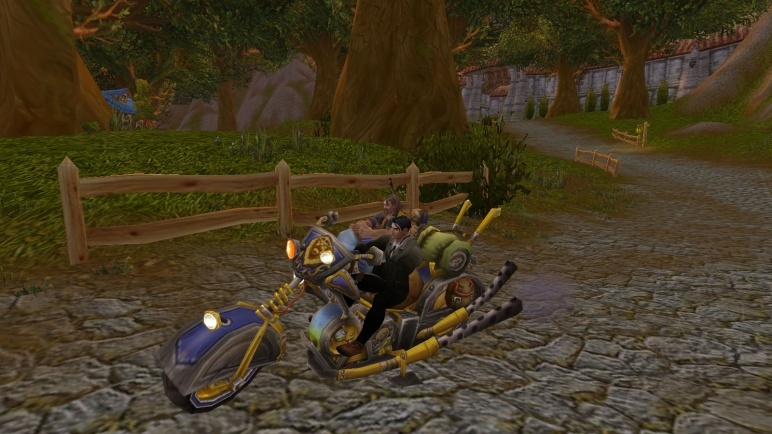 However, Patch 6.1 will give them a speedy method of transportation at level 1. "The Heirloom Hoarder achievement requires 35 different heirloom items obtained on your account, and rewards the new Chauffeured Chopper mount," Blizzard explained on the World of Warcraft website. "It’s a mount that can be used by all characters, even brand new level 1 characters." The Chauffeured Chopper is a motorcycle with a sidecar. Because your level 1 character doesn't have the Apprentice Riding skill yet, it's operated by an NPC. 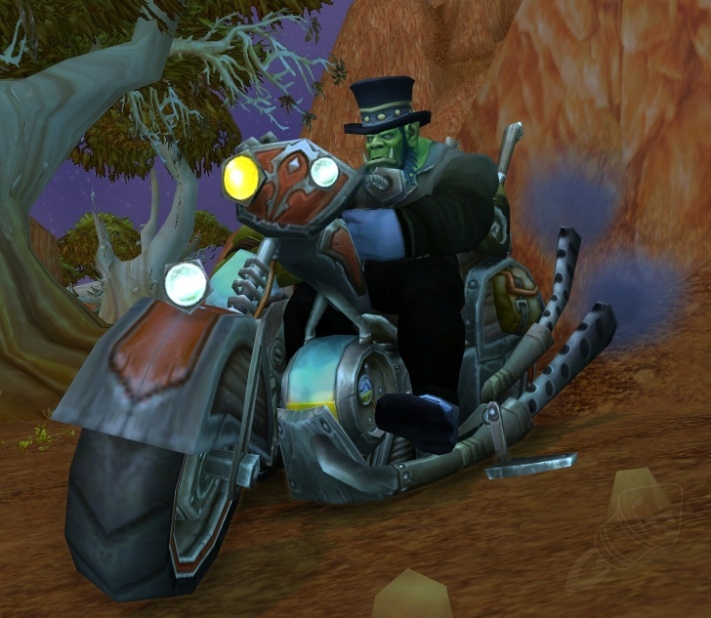 Horde players will be chauffered around by a well-dressed orc named Koak Hoburn, whose name is a reference to Morgan Freeman's character Hoke Colburn in Driving Miss Daisy. The alliance driver is a human named Franklin Martin. His title, "The Transporter," makes it clear that he's based on Jason Statham's character from the film series of the same name. The achievement and mount are part of an overhauled Heirloom system coming in Patch 6.1. Heirlooms are items that boost the experience point gains, making it quicker for players to level their second (or third or fourth) character to the cap. Once the update goes live, Heirlooms will become part of an account-wide collection like mounts, pets and toys. All you need to do is log into each character that has heirlooms in their bags or bank to ensure they're added to your supply. "Heirlooms will be modified to obtain maximum levels that fall into one of three groups: 1-60, 61-90, and 91-100. Your heirloom items will all be grandfathered into whichever group is appropriate, with previous maximum levels being upgraded. This means that if you have an heirloom item that previously maxed out at level 85, it will now max out at 90." To add an heirloom to your character's inventory, all you need is to right-click it in the collection. A copy of it will be automatically created for your low-level toon. Any Heirlooms you enchanted prior to the patch will still be available for use as well. Getting your first mount is a really important moment in WoW. You really appreciate the speed boost after being force to run everywhere for the first 20 levels. That said, it's an unnecessary inconvenience to long-time players who simply want to level up their new alternate character as soon as possible. 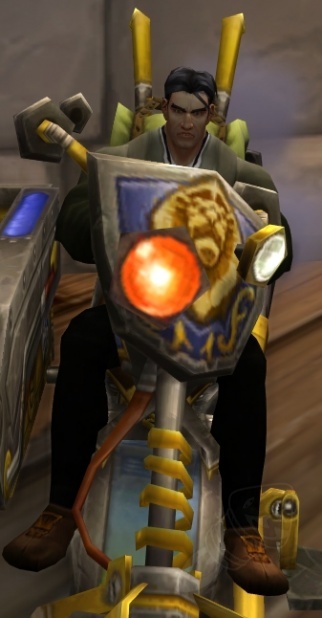 This heirloom mount is a good compromise that reduces annoyance for veterans while maintaining the special "first mount" experience for new players. Patch 6.1 is currently on the Public Testing Realm. Blizzard hasn't announces the official launch date of the patch yet.